We are dedicated to providing you with quality chiropractic care. 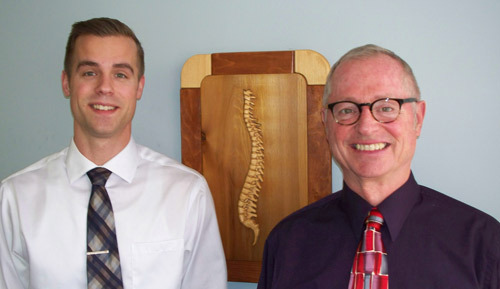 Our chiropractors, Dr. Randal Arnold and Dr. Levi Arnold are committed to continual learning. Together, they have attended over 60 Gonstead seminars. They stay up-to-date on the latest advances in chiropractic so that they are able to give you a specific adjustment, based on your needs. It’s all about removing interference in your nervous system so that your body can do what it was designed to do! Ready to get started? Call us today.